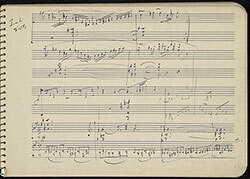 Dukas, Paul, 1865-1935. Selections (Sketches). Sketchbook : autograph manuscript, [1879-1935].